As more and more devices adopt high-definition screens, font icons are becoming the popular choice to adopt. It is resizeable without compromizing quality and customizeable through CSS. We can easily change the color, the size, and even animate font icons with CSS3. Plus it is resolution-independent which makes it look crisp on any screen density. 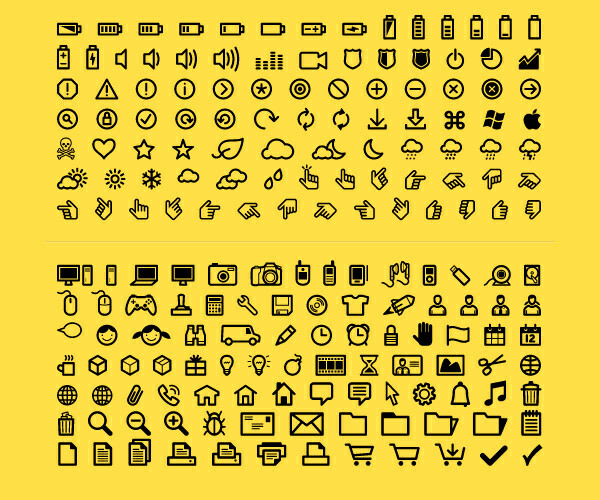 FontAwesome is by far one of the most popular font source, with a huge collection of icons. But it is highly unnecessary to download the whole collection when you need to use just a few. Here are 10 alternative sources of well-crafted font icons that I hope you would find useful at times to build your next great websites and apps in place of FontAwesome. StackIcons are font icons for over 60 modern social brands. It comes with CSS, allowing you to style your font in many container shapes. You can get your social brand icons in circles, squares or with rounded edges. You can also color the icons in more than one color, giving you more realistic brand colors. Socialicious is a font that is exclusively built for popular social websites like Facebook, Twitter and Instagram. The font is built to work nicely with Bootstrap. Here is an example code to build a button with Bootstrap .btn class in conjunction with font classes. If you use a payment gateway, you might want to grab these font icons. The package contains 95 sleep icons that are of popular payment methods or gateways such as Visa, American Express and more. This is the icon set created by Opoloo, previously known as the Android community. It includes 250 awesome icons in 5 sizes and 14 colors of native Android icons. Open Icon contains 223 icons ready to use with bootstrap, a framework or your own stylesheet. The font size is small, just 12.4Kb, which is about a quarter of what you can find in FontAwesome. The cool thing here is, these icons can be scaled down to 8px. There are 15 categories of Google Material Design-inspired font icons in this pack. To use them, just install Material-Design-Iconic-Font.ttf, then use this cheatsheet. Copy paste the icons (not the unicode) into your project. You can enlarge the icons, give it borders, spin, rotate or flip it with CSS.